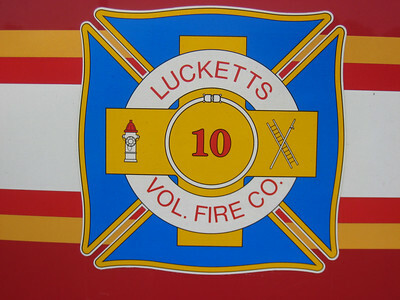 Lucketts Volunteer Fire Department - Fire Station 10. 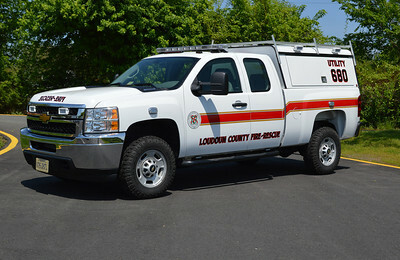 Loudoun County took delivery of two 2013 Pierce Arrow XT's in 2013 and assigned one of them to Engine 603 (although originally marked as Reserve) and this one - Engine 610 at Lucketts. 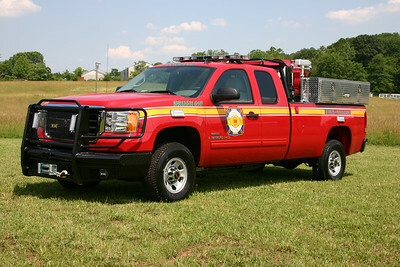 Engine 610 is equipped with a 1500/750 and 30 gallons of foam. The guys on duty on my unscheduled visit were fantastic moving trucks around. 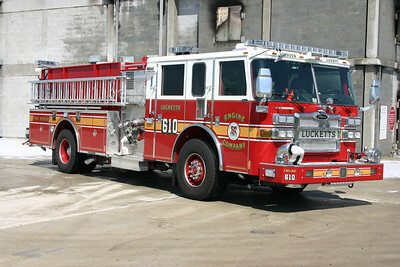 The volunteers at Lucketts are the primary operators of Engine 610B. 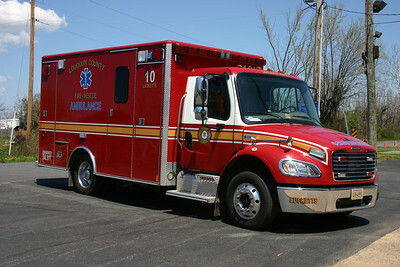 The county changed the designation of this engine from Rescue Engine 10. 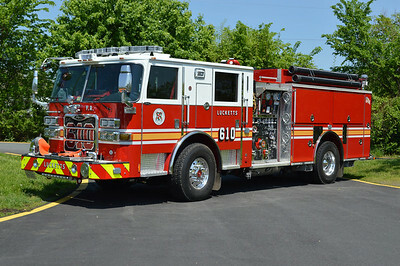 Engine 610B is an unusual one in terms of fire trucks. 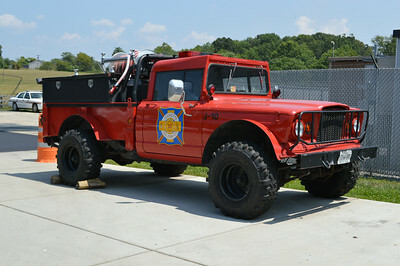 It is a 2002 Spartan Mountain Star 4x4 built by Saulsbury and equipped with a 1500/750. The pump panel is in the drivers side rear compartment and the discharges are in the rear. Photographed in May of 2014. 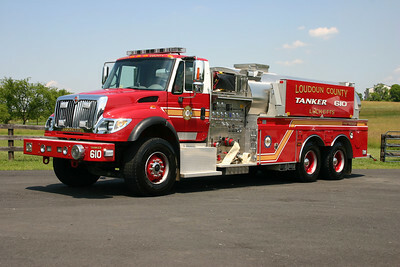 One of two 2016 Mack Granite/Pierce 1500/3000 tanker delivered to Loudoun County in November of 2016. 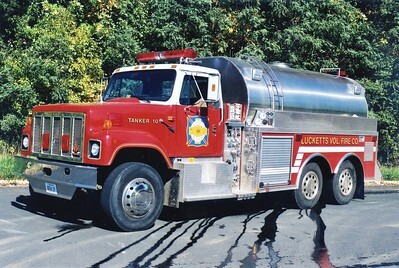 This is Tanker 610 for Lucketts. It carries Pierce job number 29709-02. The other tanker was delivered to Tanker 604 in Round Hill. 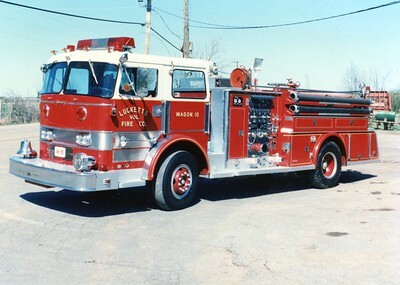 Brush 610 as photographed just after being placed into service. 2007 GMC 3500/2008 CET/West Potomac. 450/200. 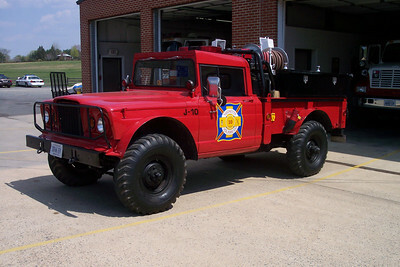 Jeep 610 is an ex-military Jeep modified for fire service in 1999. The Greenfield Farm in Lucketts did much of the work. 1969 Kaiser Jeep 200/200. 2014 Update - still owned by Station 10 however not in service. 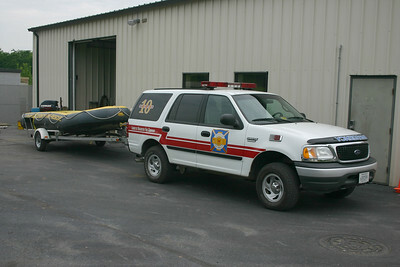 LCFR placed a utility truck at Station 10 to help with towing boats and other emergencies. 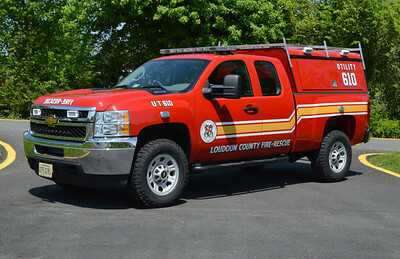 Utility 610 is a 2013 Chevrolet. Utility 680 is a reserve utility for the county. In May of 2014, it was at Fire Station 10 in Lucketts. 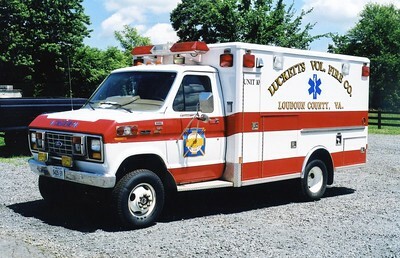 You might wonder why this truck is painted the white with red stripes and not the red like other county trucks. This truck was a grant purchase. Utility 680 is a 2013 Chevrolet. Command 610 is a 2000 Ford Expedition. Used to tow a swift water boat. 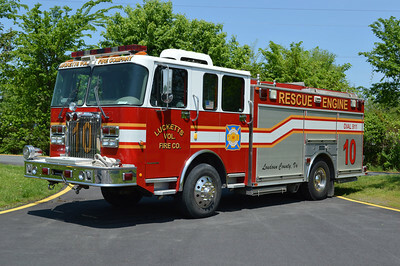 Lucketts Engine 610 is a county purchased 2007 Pierce Dash 1500/750/50. This photograph was taken in April of 2008 at the new burn building at the Training Center. 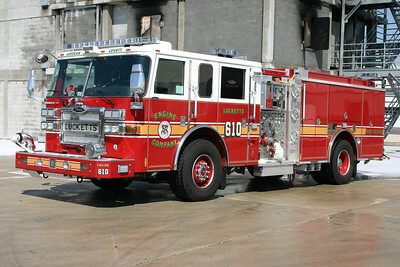 Engine 610 was being tested prior to being sent to Lucketts for service. This engine is now in reserve status. The officer side of Engine 610. 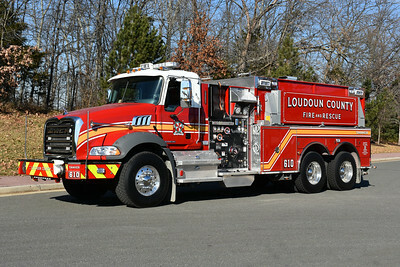 Loudoun County, Virginia Reserve Engine - a 2007 Pierce Dash 1500/750/50 with job number 19355-02. Originally delivered to Lucketts as Engine 610, the Pierce was running at Leesburg as Engine 601 when photographed in August of 2017. 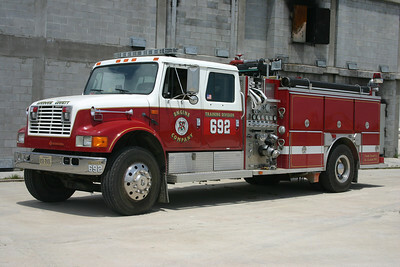 Former Engine 10 was this 1986 Chevrolet/EEI, 1000/500, sn- 8493. Sold in 2005 to a farmer in Lucketts. 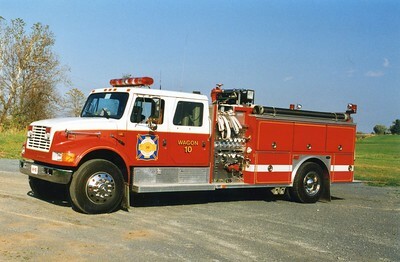 Former Wagon 10 was a 1969 Young-Duplex R-300, 1000/500, sn- 70331. ex - Vienna, Virginia (Fairfax County). 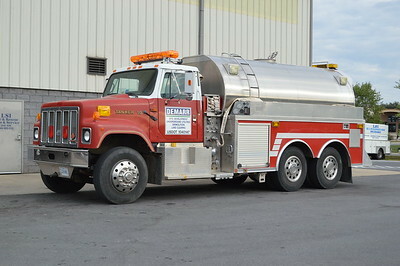 Tanker 610 in Lucketts is a 2006 county purchased unit (one of three purchased that year). 2006 International 7600/2007 4-Guys 1500/3000. 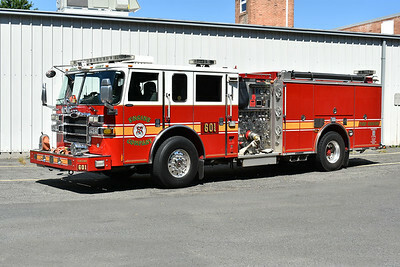 Transferred to Sterling FS 18 in 2017, this unit now operates as Tanker 618. 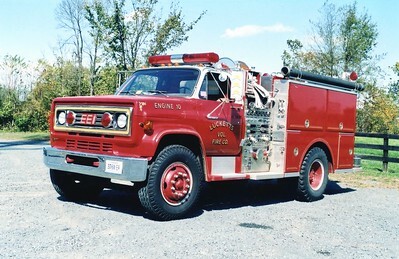 Former Tanker 10, a 1965 Chevrolet/1977 4-Guys, 350/3000. The Chevy front end was a former septic tanker truck. 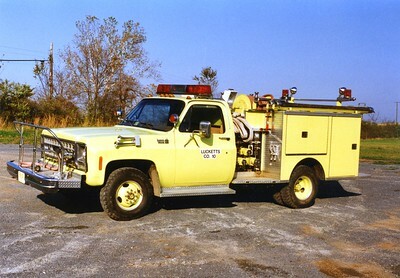 Tanker 10 received a facelift in 1990, a new International cab was attached to the 1977 4-Guys body. Equipped with a 350/3000, sn- F133. 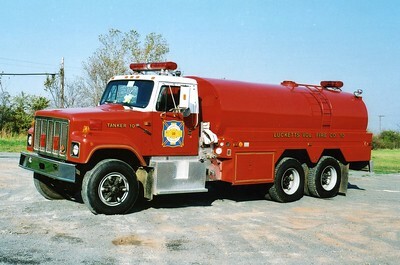 Tanker 10 received another facelift in 1999, a rehab by LSI extended the life of this 1990 International/1977 4-Guys. 500/3000/100. 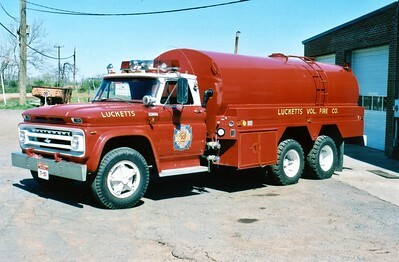 Former Tanker 10 from Lucketts now owned by a construction company. Former Brush 10, a 1980 Chevy Custom Deluxe/Pierce, 400/250. ex - Lovettsville, Virginia (Loudoun County). Now privately owned. 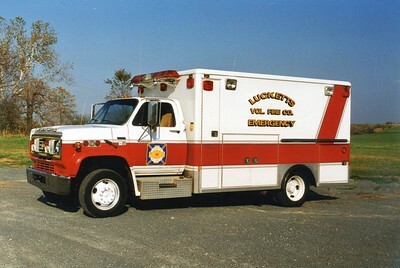 Ambulance 610 in Lucketts once ran this county purchased 2005 Freightliner M2/2006 Medic Master. 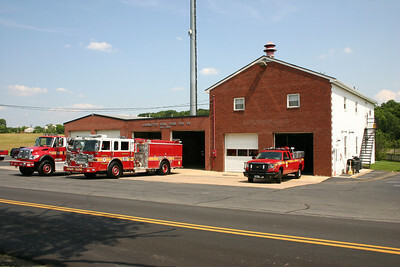 It was re-assigned to Station 23 in Ashburn-Moorefield and later disposed of. Former Unit 10, a 1988 Chevy/Wheeled Coach. 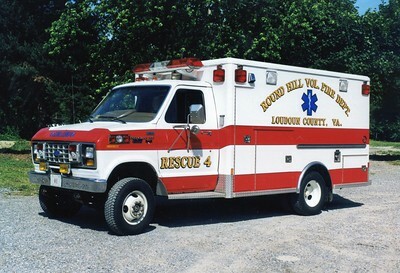 Sold in 2003. ex - Sterling Rescue Squad (Loudoun County).